Leaders of the Pan American Sports Organization (Panam Sports) began the New Year with comprehensive discussions about the priorities and plans of the organization and one of those priorities was The Junior Pan American Games 2021. The potential host cities are being reviewed and we will announce which city has been chosen to organize this great celebration of the youth in the Americas during the next Executive Committee in Costa Rica,” President Ilic said. The 2018 Caribbean Equestrian Association’s Regional Jumping Challenge [CEA RJC] came to very successful conclusion for Bermuda’s show jumping riders, as for the third year in a row they claimed the top spot against the Caribbean Teams. Coming in second place was Team Barbados, followed by Jamaica, Cayman Islands and Trinidad. Unfortunately, Antigua had to withdraw from participating in this year’s competition. 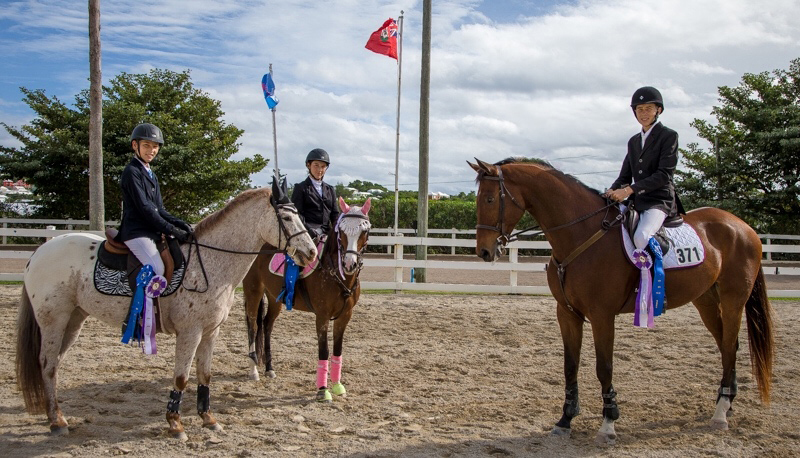 The CEA RJC provides competitors of all ages an opportunity to measure their skills against riders within the Caribbean region and Bermuda. Riders compete in their own countries over two rounds of a predetermined jumping course at heights of .70m, .85m or 1.00m. The top scores from each division form the country’s team. In addition to winning the Team event, Bermuda’s Christian Truran riding De Le Vega was the overall winner in the 1.00m division with McKenzie James riding Up Up & Away & Casey Truran riding Forza placing 2nd and 3rd respectively. In the .85 division, Candyce Martins & Crème de Crème secured the overall second placing. Officiating the event was Bermuda’s FEI Judge, Judy Hagen.